Is business ready to leverage the Industrial IoT? Technology has made tremendous strides in the last few years. Due to miniaturization and vast improvements in processing power and wireless connectivity, low-cost sensors with significantly smaller form factors are now available, accompanied by cheap microprocessors, data storage, CPUs, software, operating systems and batteries. IoT devices with no direct power connection now have long battery lives, sometimes measured in weeks, months and even years. Other components include low-powered wireless communications technologies (such as ZigBee, ZWave, BLE, etc. ), routers/internet gateways which enable data transmission to the internet and hence to the cloud, where it can be stored on cheap disk drives, for processing by cloud computing services (such as Amazon’s AWS and Microsoft Azure) and then be subjected to data transformation and data visualization for end users hungry for information with which to make personal or business decisions. However, true automation required computers to gather data directly from one or more sources, without human assistance. Early sensor-based systems (used for example in process control applications in chemical and manufacturing plants) were bulky and neither cheap nor ubiquitous. These systems could also include pre-programmed actuators which could interpret incoming sensor data and take appropriate actions (for e.g. to open or shut a valve) depending on the context. Additionally, connections between sensors and computers were hardwired since there was no wireless connectivity in those days. Therefore, a system consisting of several sensors connected to a single (or many) computers was expensive to build. IT-driven transformation has historically occurred in waves, characterized by technology adoption and the resulting efficiencies. Prior waves have significantly changed the competitive structure of businesses everywhere. The First Wave of IT-driven transformation occurred during the 1960’s and 1970’s when companies started automating key processes in their value chains generating value internal to the enterprise. The Second Wave occurred in the 1980’s and 1990’s due to the inexpensive and ubiquitous connectivity offered by the Internet, which facilitated integration with outside suppliers, channels, and customers and globally distributed supply chains. However, neither of these waves actually touched the products themselves. According to Prof. Michael Porter of the Harvard Business School, the IoT represents the Third Wave of IT-driven transformation and competition since the 1970’s and is likely to dwarf the first two waves in size based on its promise of huge productivity gains and growth across the economy. There are 2 broad categories of opportunity. The first is the Consumer IoT market, the second (and significantly larger opportunity) is the Industrial IoT (IIoT) market. Many companies from analyst firms like Gartner and McKinsey to market titans like Cisco, IBM, Apple and Google have attempted to estimate the value to be generated and market size of the Internet of Things (IoT). Most agree that the potential is in the trillions. It is also clear that the winners and losers will be selected by the marketplace over time, based on strategies created now and implemented in future years. According to Accenture , by 2030 the Industrial Internet of things could be worth $7.1 trillion to the United States, $1.8 trillion to China, $700 billion to Germany and $531 billion to the UK, provided government and businesses invest in IoT infrastructure and technologies and are willing to re-invent themselves, even at the cost of cannibalizing existing technology investments and business processes. According to Cisco : In the private sector, IoT will create approximately $14 Trillion in value (increased revenues plus lowered costs) between 2013 and 2022. (On their website, Cisco also states that cities, governments and other public-sector organizations can create an additional $4.6 trillion). 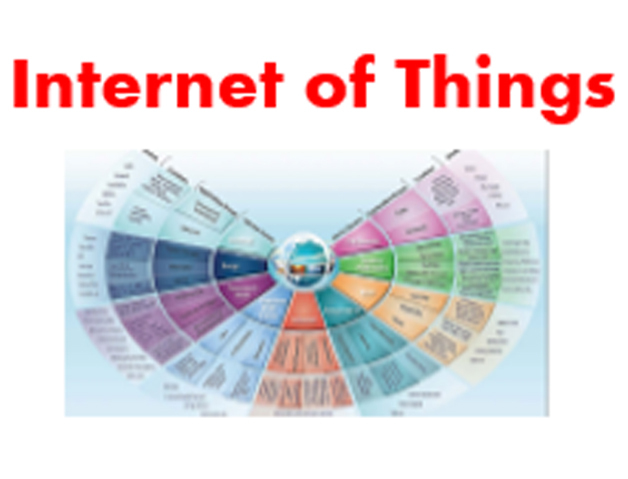 The potential is evident if one considers that over 90 percent of physical objects that may one day be part of the Internet of Things are still unconnected. According to Cisco, the five main factors that fuel value in the private sector are: 1) asset utilization (reduced costs) of $2.5 trillion; 2) employee productivity (greater labor efficiencies) of $2.5 trillion; 3) supply chain and logistics (eliminating waste) of $2.7 trillion; 4) customer experience (addition of more customers) of $3.7 trillion; and 5) innovation (reducing time to market) of $3.0 trillion. Sources of value include people, processes, data and things. The data generated by the IoT will require supporting services including data collection, management, analytics, visualization and decision support. Intelligent, interactive robots armed with sensors present a range of opportunities capable of autonomous actions based on sensor data and reasoning powered by artificial intelligence. According to Accenture , the vast majority of American companies (84%) have yet to make any concrete plans and allocate investments to strategies encompassing IIOT. Most business leaders still do not fully understand the underlying business models and long-term implications of IIoT. Per Professor Michael Porter, fundamental shifts in internal functions such as product-design, pricing, marketing, sales, service and HR are likely to occur, driven by a competitive landscape which will alter the current portfolio of winners and losers. These constitute significant risk to businesses that do not understand the implications for their competitiveness and future survival. In the meantime, business leaders are advised to allocate resources and funds to early experimentation and pilots to help them understand the future impact to existing business models. The learnings from such experimentation will arm them with the knowledge they need to construct new operating frameworks for state of the art products and services, to help mitigate the risks and take full advantage of the changes that are destined to occur. These trends will be covered in more detail by this author in a future blog article.